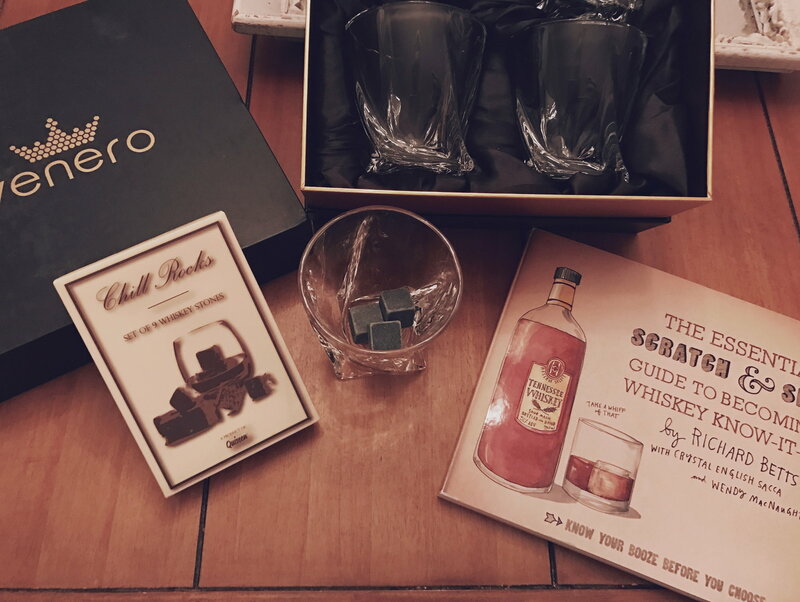 Thank you to the Santa for sending these welcome addition to my collection! The pillow will be most handy for those "shudder" long haul mileage runs! 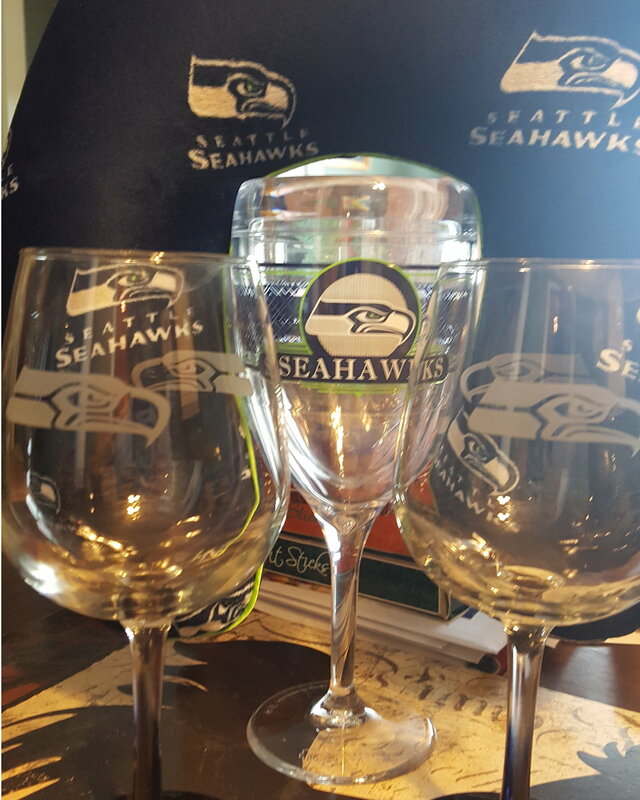 Wine glasses are always welcome. Now I have an "outdoor" one to boot! 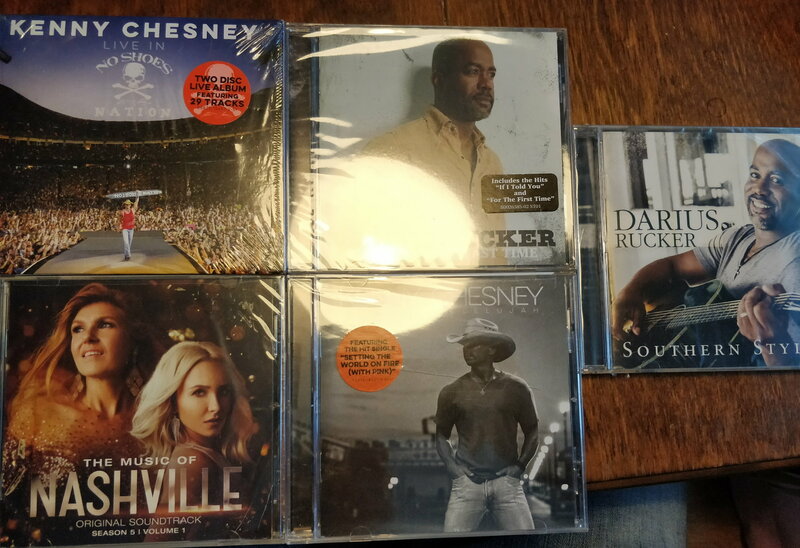 I received a set of packages from Amazon today (which my co-worker said should be one of my gifts to him!). 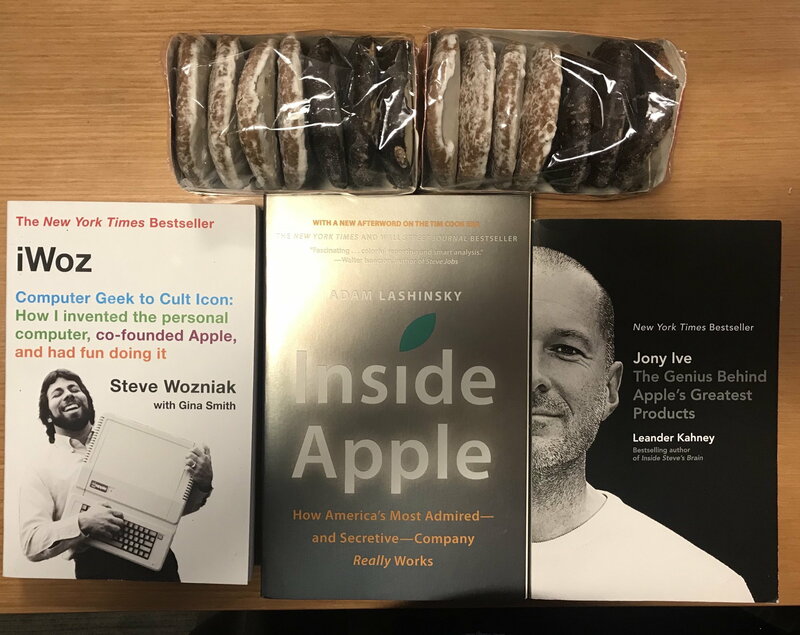 Three books relating to Apple (the company, not the fruit or record label) and some German Lebkuchen (Gingerbread). I can’t wait until Christmas Eve to break into the Lebkuchen! I received a box from Amazon which my kid previewed for me. He says it contains 4 nicely wrapped items. They will go under the tree and I will post again after Christmas Day. I’ve received my gifts! I will have to post pictures later tonight since I’ve been out of town and need to get settled, but thank you so much joshua362 and beautifuleva! joshua362’s gift is a generous bonus, but I wanted to mention it anyway. I also had such fun picking out stuff for your box. The mug might be a little small for real coffee drinkers but just thought it was the closest I could get your love for photography. Hopefully the tie wasn't too bold for you. The Elves serve at your beck and call. Merry Christmas Santa, just in case we don't see you. And don't forget, it's the 7th night Hanukkah tonight, with 1 more candle to go tomorrow. I better check my candle supply. P.S. I saw lots of new and exciting toys for next year at our Elves meetings in LAS last week. onetess and kirkwoodj like this. Apologies for any crazy typos - I’m writing this on my phone, and the mobile website doesn’t behave some of the time. 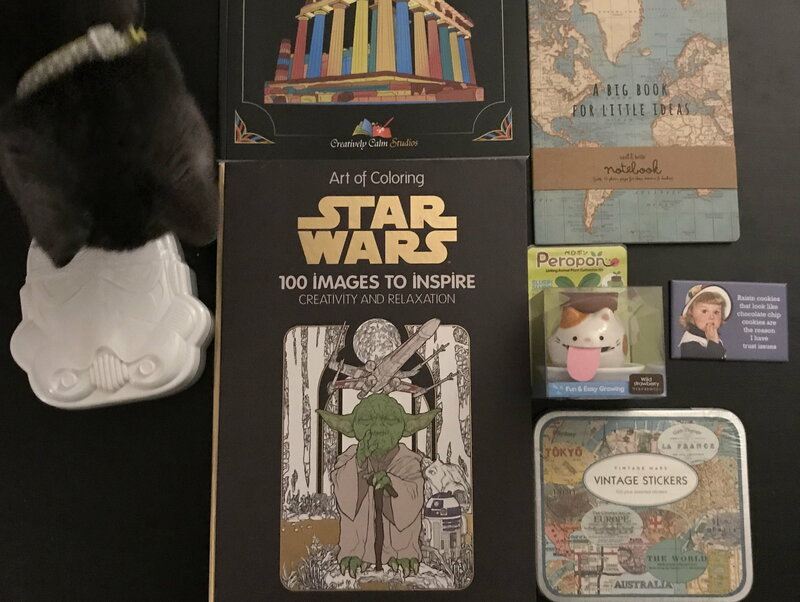 My gifts from Beautifuleva, from left to right: Star Wars stormtrooper container filled with little candies, landmarks of the world coloring book (the title was cut off accidentally), Star Wars coloring book, a blank journal for my travels, a small plant kit (you put the “tongue” in the dish of water to create capillary action from the water dish to planting material), a cute fridge magnet, and a tin of stickers printed with vintage maps. 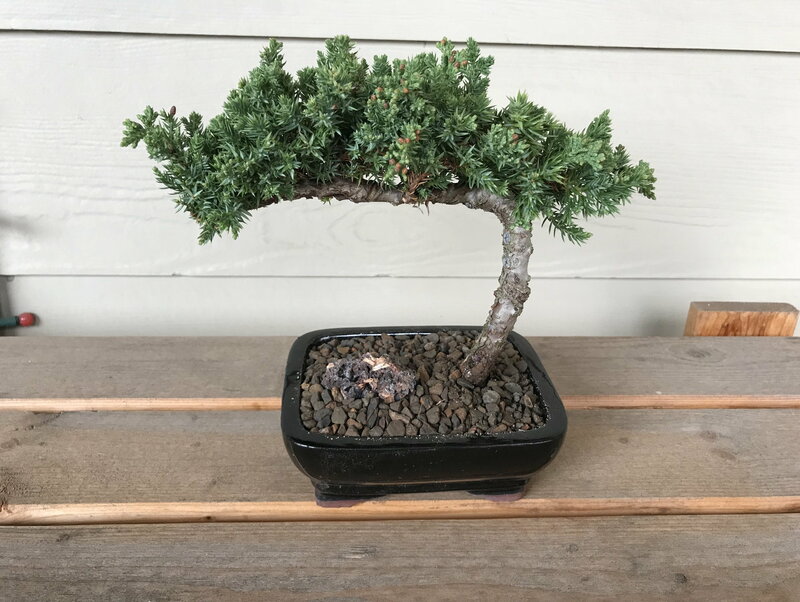 joshua362 was very generous and sent a juniper bonsai. 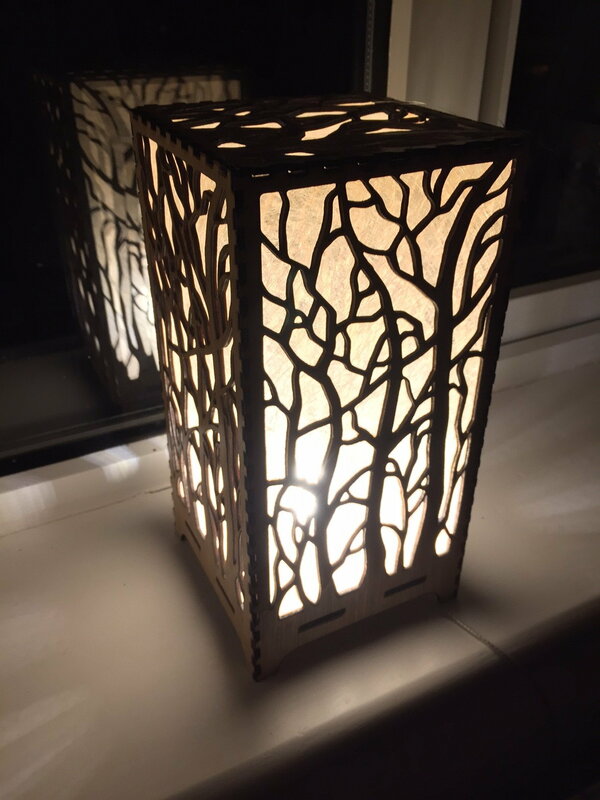 I’m excited to have it out on the porch once it gets warmer, but it will live in the storage closet out there until then (as per the accompanying instructions.) I think it will be a nice addition to my little gardenia bush. Thanks so much to both of you! I really appreciate it. 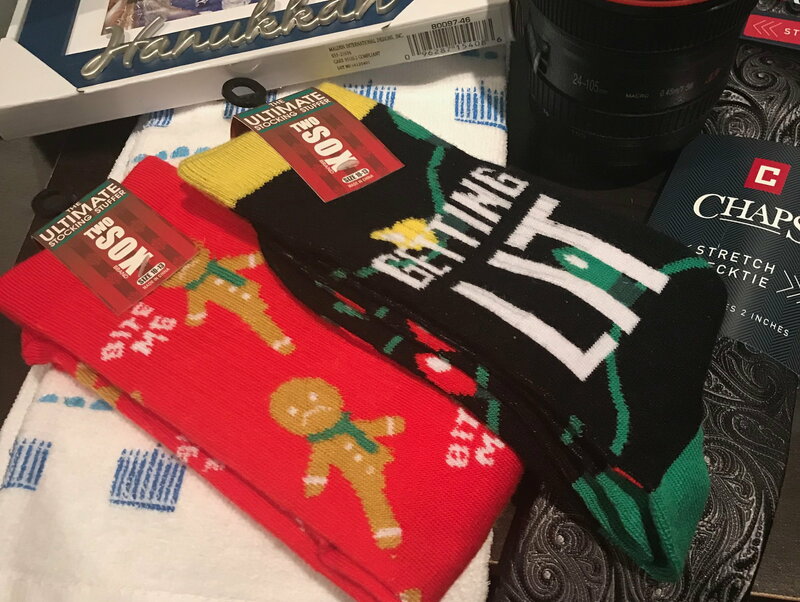 Thanks Secret Santa from MA! Santa just wants to wish everyone a wonderful holiday season. I will be offline after I send this message until December 26th. We are again spending Christmas in NYC.... hoping that the lottery gods come through on Hamilton tickets. Please keep updating me with your sends and receipts of gifts.